This entry was posted in Government, History, News International, Politics, Uncategorized. Bookmark the permalink. There was a whole military bureaucratic issue that caused that failed attempt and I really don’t want to get into it as the AF people killed were part of something I’d worked years before. The mission failure and the deaths of those personnel was set in stone before the first plane ever left US soil, it was a Pentagon and White House screwup from Day One. Often forgotten is Ross Perot’s rescue of his employees captured in Iran. He hired COL (ret) ‘Bull’ Simon to go get ’em and Bull put together a team and did so, snatched them right out from under the Iranians’ noses and got them home safely. Perot, a private businessman, succeeded where the entire US government couldn’t. I read that book – On Wings of Eagles – about the Perot organized rescue. It was fascinating. Did it mention that the pilots flying the helicopters weren’t really familiar with them? I don’t remember, to be honest. And that one of the choppers that turned back for ‘mechanical’ issues may have done so as the pilot was…what’s a polite word for chicken? That issue was never completely addressed but it was a sore spot for a long time. And did it mention the AF covertly snuck a CCT officer into the LZ prior to the operation and he took soil samples to ensure the ground could support the loaded support aircraft? Problem is there were big sandstorms between the time he took the soil samples and the landings – no one monitored the weather and made the connection that the storms laid down a thick layer of dust. When they landed the propwash kicked up a huge cloud of dust that made visualoperation almost impossible. I was then, and am now, convinced the savages had enough intelligence to see the writing on the wall. 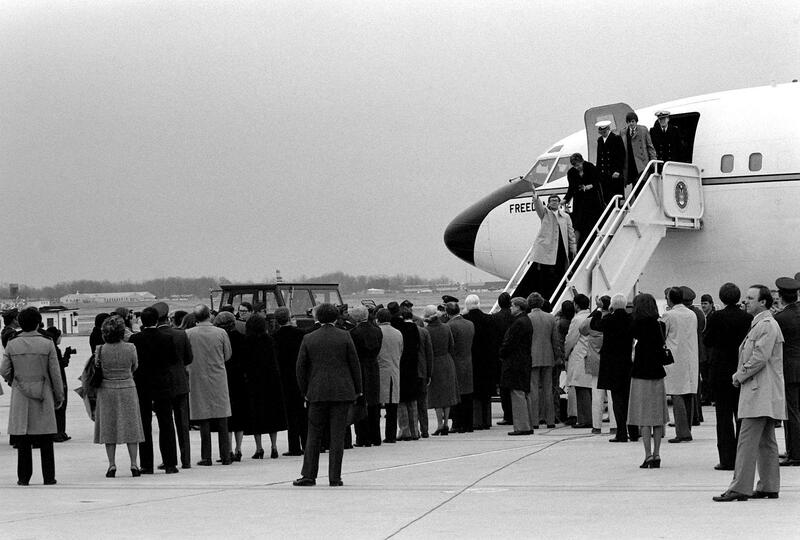 The hostages would not have been freed that January day had Carter won re-election. I remember that time well. My second son was born shortly after the hostages were taken. My days in the hospital (back then they kept you for three or four days) were filled with television coverage of the crisis. I went in thinking I’d soon see their release and left amazed they were still hostages. Little did I know how long that would continue.